Goldsworthy et al investigated patient experiences of comfort during radiotherapy for head and neck cancer. The study was published in the journal of Radiotherapy in Practice. The article can be found here. In conclusion, the overall comfort was perceived as low by most participants. 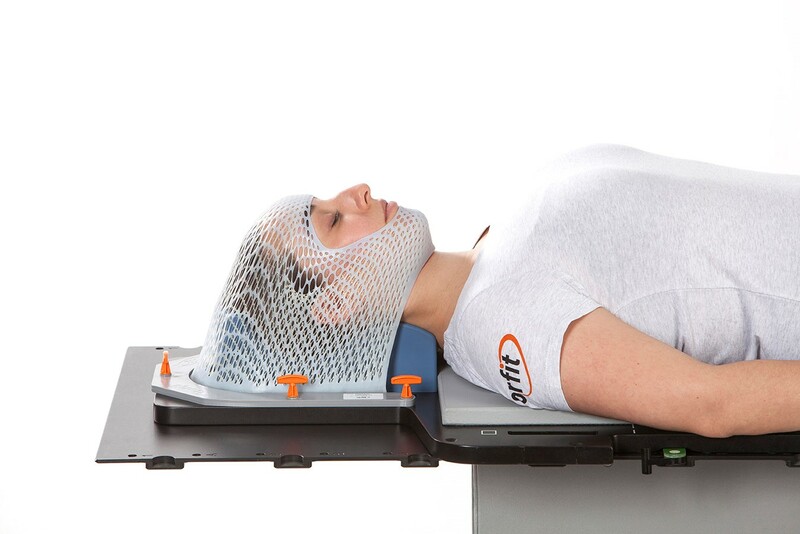 Nevertheless, there are a number of solutions available to improve the patient’s comfort during head and neck radiotherapy. The choice of an appropriate thermoplastic mask. A radiotherapist might opt for the mask that offers the highest stability to precisely target the tumour, which does not take patient comfort into account. The challenge here is to find the right balance between stability and comfort to ensure the immobilized patient does not move due to discomfort. Anxious or claustrophobic patients and children could benefit from an open face mask. The Orfit open face masks provide sufficient stability due to innovative technologies. The product range concludes High Precision Open Face Hybrid masks, Open Face Hybrid push-pin masks and most recently the Duon Open Face Hybrid Head Masks. Thanks to the use of nanotechnology a very thin and at the same time stable mask can be created. We implement nano clay particles into the thermoplastic material to improve the mechanical properties and rigidity. Translating itself into our Orfit Nanor masks. The Nanor masks are as a result thinner, shrink less and have a softer surface, what ultimately leads to a more comfortable touch and feel for the patient in contrast to traditional masks. The stability of the mask is assured and compares itself to traditional masks. When the combination of chemotherapy and radiotherapy occurs, patients often experience nausea and facial swelling. The Nanor masks compensate for a change in volume, which makes remoulding a mask and rescanning the patient during treatment less likely. The Nanor thermoplastic material is currently implemented in the reinforcement layer of all Orfit Hybrid masks. 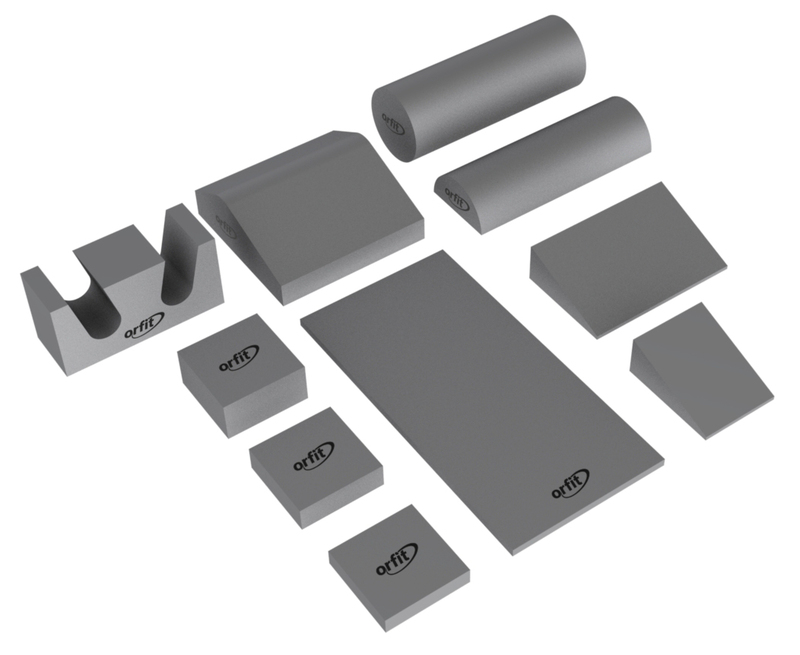 Single Layer Nanor masks are available for evaluation purposes. Aids to relax body and as a result, the mind. The patient’s comfort is not solely dependent on the choice of the appropriate thermoplastic mask, but involves the entire body and as a result the mind. Due to the importance of lying still and the impactful impression of the environment, it is of utter importance that the patient can be comfortable and thus relaxed. With the right combination of a head support and blocks and wedges, we can not only create stability and immobility but also the necessary comfort. 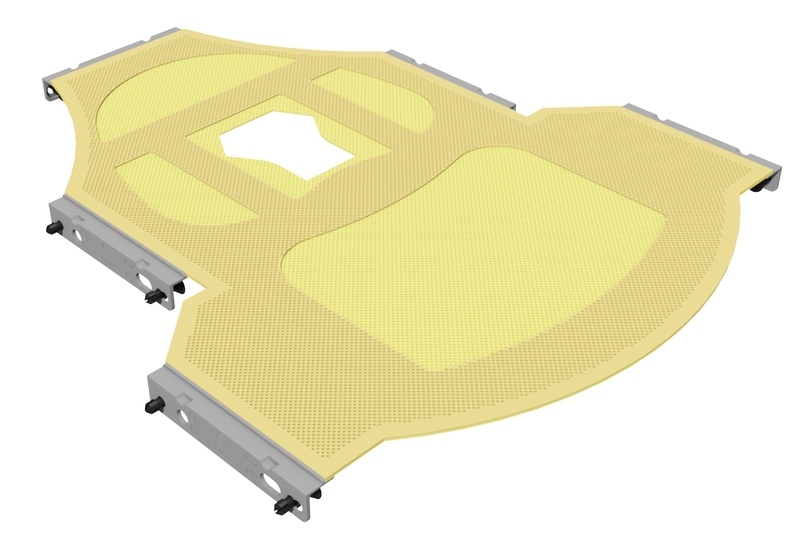 For this segment of the radiotherapy treatment, Orfit offers a complete range of comfort cushions. In a previous blog post we addressed a few tips on how to comfortably position and immobilize children or adults with anxieties. You can read this blog post here. The last part of the study reflects on the patient’s passivity, explained by the willingness to follow the instructions of the practitioner because of the reasoning ‘they know best’. To ensure a flawless and smooth process, it is important that the patient trusts the doctors or nurses and the treatment process. This trust is created by explaining and preparing the patient for what to expect and why an immobilization mask is so important. If prepared for each detail, the patient is less likely to show anxiety or to be frightened. To conclude, a number of factors work together to ensure a patient’s feelings of comfort and reassurance. Physical and mental comfort and passivity are intertwined and influence one another. Here at Orfit we strive for continuous improvement and the latest technology to create the most optimal products for patients and medical professionals. More information can be found on the Radiation Oncology segment of our website. If you have any questions, get in touch with your local Orfit distributor or post your question in our Orfit Patient Immobilization & Positioning Group on Facebook!